[What is a marketplace] Is it worth selling on them or will you just get burned? Increasing sales and reaching the highest possible number of potential clients in the fastest way possible. Have you ever heard of marketplaces? Do you know what they are and what selling through them means? They can be a great option for e-commerce, but before you go all in, you need to analyze all the variables involved with making such a decision. Selling more is always a good thing, but not at all costs (and it couldn’t be said better). Keep reading – we’ll shed some light on all your doubts. A marketplace is a virtual shopping center that works as an intermediary between buyers and sellers. You’ll understand it with an example. Think about what a physical shopping center really is. It’s place where thousands of clients go because they find it convenient to shop in one place with a variety of stores. It’s also a place where, as a shop owner, I’m interested in being because there are lots of customers going there every day. 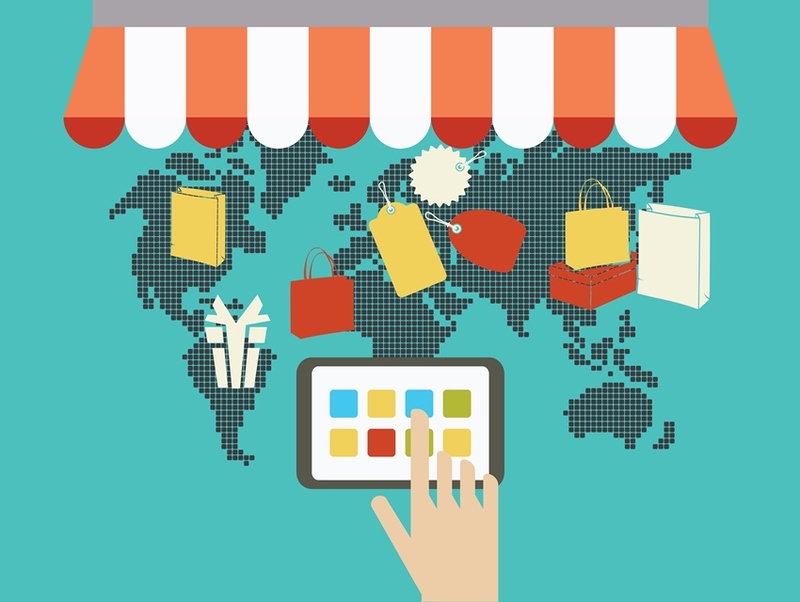 A marketplace is the same thing in the e-commerce world. Sounds intriguing, right? Get ready because we are going for a stroll around the largest and most well-known shopping centers around! A survivor of the e-businesses from the ‘90s, it was able to successfully adapt and grow in the 21st century. It started as an auction platform (and that’s how people still know it), but selling new products is now 80% of their business. This makes it one of the most powerful marketplaces through which transactions are carried out from 190 countries all over the world. The Asian reference has more than 500 million active clients, which positions it as one of the most attractive marketplaces in the world due to its sales volume. Do you want to sell on Alibaba without having a filial shop in China? You can do so by shipping the products from your own country through Tmall Global. A young marketplace (it emerged in 2013) used by this French group to expand its catalog. This way, they were able to add different categories, such as baby care items or household appliances, which aren’t present in their physical shops. And last but not least, Amazon, the mother of all marketplaces and the must-mention benchmark when it comes to this topic. The majority of Internet searches with purchase intentions are carried out on Amazon, so it’s the most attractive option, a priori, if you’re thinking about selling on a marketplace. Cdiscount: it dominates the marketplaces in France. Otto: the best option to start selling in the German market. Rakuten: gives you direct access to buyers in Japan. Solostocks: it’s the most popular marketplace for B2B businesses in Spain. Wallapop: it eases the transactions between end clients, that is to say, C2C business. Etsy: a logical place for crafters who sell through marketplaces. Flubit: it’s considered the English Amazon and it works by beating Amazon prices. As you can see, there are several options and working with them may mean internationalizing your e-commerce. Selling through a marketplace is a very interesting option to gain access to a wider audience, but watch out: not all that glitters is gold with these multi-platforms. You need to check the fine print in order to avoid making wrong decisions. So let’s analyze things in detail. As we explained before, the biggest advantage is the number of customers who have access to your products via the marketplace. With your e-commerce on a marketplace, the number of people who can visit you is way significantly higher than the number of people who would learn about you from your ecommerce alone. In addition to that, you can increase your international demand without any additional effort required. You don’t need to have your own website to sell on a marketplace. You just need to worry about managing your catalog. Easy, right? Since you don’t need to have your own website, you can save on lots of expenses (and working hours) related to digital marketing since the marketplace provides the structure that you need to start selling as soon as you register. Evidently, you won’t be in full control of your business’ image online since it will be limited by the options offered by the marketplace. In exchange, you won’t have to spend time dealing with that aspect of the business. One of the most common sales objections for an e-commerce is the lack of trust that clients may have when completing their purchase and entering payment details. When you sell through a marketplace, its prestige helps you since your clients’ reluctance is reduced because of the guarantees offered by the platform. In addition, if clients decide to return the product or make a complaint, the marketplace will be in charge of it, which also means saving you both time and money. That’s great news if you have a small shop, if you’ve just opened it, or if it still has a relatively weak brand image. Obviously, all those advantages come for a price because the marketplace is also a business that wants to earn profits. So now let’s take a look at the not-so-pretty side. Depending on the marketplace, the commission for each product sold can range from 5 to 20%. You need to bear that in mind when calculating how profitable your products are and before deciding if the marketplace is worth it or not. Although competitors are not always a negative factor, the truth is that between different sellers on a marketplace there could be price wars and copied product that end up being a real nightmare. Due to the high number of competitors in just one place, you’ll have to constantly revise your prices, which could see your margins being reduced. When selling through a platform, you have to hand over all the information about your clients. This impedes you from launching retargeting or subscription strategies that would otherwise help you increase sales in a normal e-commerce. As you already know, information about your clients and orders is key to creating an effective and more profitable selling strategy, so losing all that data may turn into a real obstacle if you decide to break free. If a huge marketplace notices a profitable product or niche, it has significantly more resources at its disposal to monopolize said business. The marketplace can put a lot of pressure on your suppliers if they are interested in the product, so try to find a balance between doing well and not standing out too much. If you have two selling channels (your own e-commerce and the marketplace), it’s possible that the price policy imposed by the marketplace leads to your own website prices being higher than those offered through the marketplace. Your profitability (sales through the marketplace offer lower profits because of commissions and storage and logistics fees). So, you’ll have to be careful before you start working with them. Double-check the conditions and carefully calculate your profit margins. This breaking news will help you get a clearer idea of the potential that these online shopping centers have. Watch out for the Swedish manufacturing giant if you sell in this sector. It’s true that it looks relatively easy and profitable to sell products through a marketplace. If you have a limited budget, marketplaces are a great option to ramp up your e-commerce. However, you always have to bear in mind that having control over your products and clients is always the best way to go. When you base everything on a third-party platform, you run the risk of losing control over your business. That’s why if you decide to open up this business channel, we recommend launching your own e-commerce platform first.